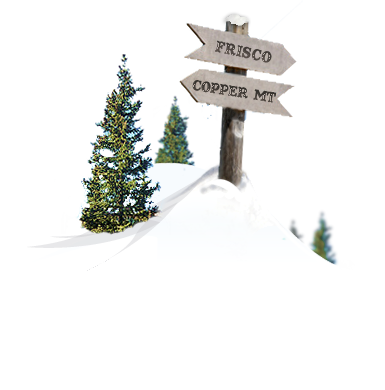 Groups may book an exclusive version of any of our Frisco & Copper Mountain Snowmobiling Tours. We are able to accommodate virtually any size group and can also offer custom catered breakfasts, lunches or dinners at the Prospector Lodge. Please call for special pricing. 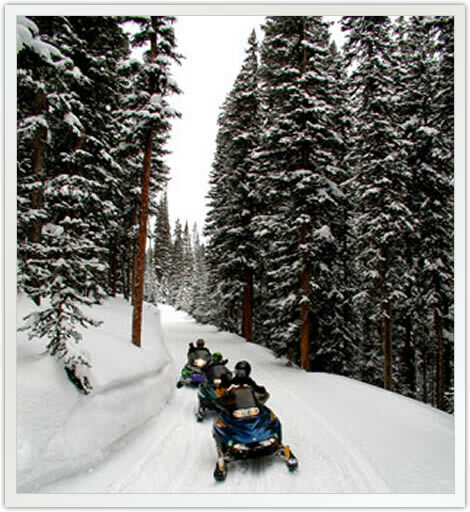 Our Frisco & Copper Mountain Group Snowmobiling Tours offer a fantastic opportunity to explore Colorado's pristine backcountry with coworkers, friends or family members and your own private guide. Snowmobile tours are the ideal activity for corporate retreats, family reunions, bachelor parties, anniversaries or any special occasion. We can accommodate snowmobile groups of virtually any size and offer the flexibility to cater custom meals along with your private tour at the Prospector Lodge. Exclusive versions of each of our snowmobile tours are available with multiple departure times offered seven days a week. Complimentary transportation can also be arranged between your lodging property and our snowmobile base camps. Snowmobile transportation can be arranged from Frisco, Copper Mountain, Breckenridge, Keystone, Vail, Beaver Creek, Silverthorne and Dillon, Colorado. Our base camps also provide complimentary helmets, snowsuits and boots on all guided Frisco & Copper Mountain Snowmobile Tours. We ask that guests bring their own ski goggles and sunglasses, a hat and a pair of gloves or mittens with them. Contact us toll free at 1.866.998.0696 or locally at 970.455.4040 to begin planning your Frisco or Copper Mountain Group Snowmobiling Tour today. 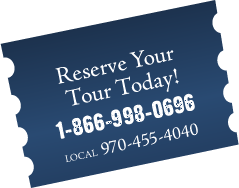 A 50% deposit may be required at the time of booking to secure your group's desired date and snowmobile tour time. All snowmobile drivers must be a minimum of 15 years of age. Copper Mountain Snowmobile drivers must be 18 years of age in order to carry a passenger. Snowmobiling is not suggested children under 3 years of age. A credit card imprint, serving as a damage deposit, is required upon check-in. 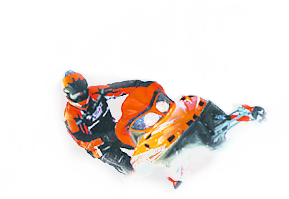 Snowmobile groups may opt to present one card for their entire party or have each individual member present their own. A signed liability waiver is required prior to all Copper Mountain Snowmobile tour departures. We request that guests who drive themselves to our snowmobile base camps arrive 1/2 hour prior to tour departure. Helmets, snowmsuits and boots are provided for all guided snowmobile tour guests free of charge. Whether you are booking a snowmobiling tour or a snowmobile rental, please bring your own ski goggles or sunglassess, a hat and a pair of gloves or mittens.